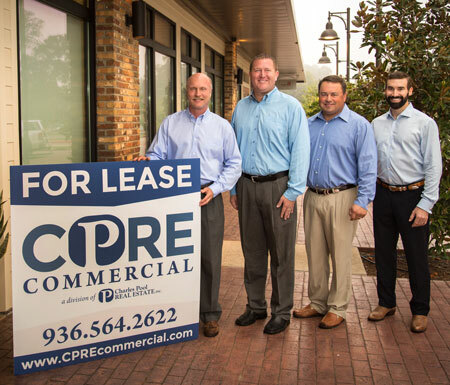 WHETHER YOU'RE BUYING, SELLING, LEASING, OR INVESTING IN COMMERCIAL REAL ESTATE, COUNT ON CPRE COMMERCIAL TO MAKE EVERY TRANSACTION SUCCESSFUL. CPRE Commercial offers a wealth of experience and knowledge for all types of transactions, and with more than 30 years in the marketplace, the agency has an unmatched historical view of Nacogdoches County, accessible through an exclusive database. The skilled professionals at CPRE Commercial offer the facts plus the expert advice you need to make informed decisions and deliver superior business performance. CPRE Commercial is dedicated to optimizing your commercial real estate and investment goals. CPRE COMMERCIAL CAN HELP YOU OBTAIN SOLID VALUATIONS FOR A WIDE RANGE OF PROPERTIES, INCLUDING OFFICE AND INDUSTRIAL BUILDINGS, APARTMENTS, MOBILE HOME PARKS, RESIDENTIAL SUBDIVISIONS, RETAIL CENTERS AND MORE.